Do you want to know about new social media tools that will be released soon that your competitors probably don’t know about? We get contacted regularly about new social media tools that are not quite ready for production but development teams are working hard to deliver great solutions. This is the 3rd report this year and it includes some interesting tools! Let us know what you think. If you are interested in analyzing conversation based around a hashtag Cybranding is quite useful. You enter in the hashtag and also identify any influencers and it produces a detailed report over the last 7 days. The following video explains how it works. There is a free and a paid version which is $5 per month. 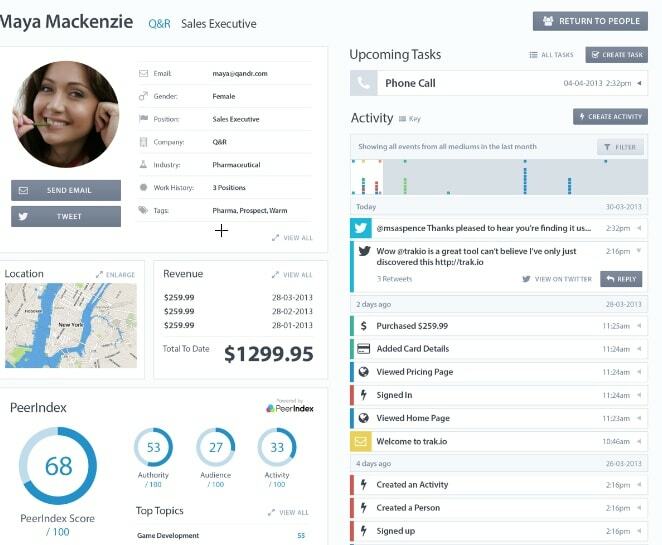 Trak.io is simplified analytics and CRM (customer relationship management) merged into one application. The founders of Virally App (which we covered in a Social Media Examiner article) are at it again with another startup called Trak.io. One major issue that people have with their website is that analytics are too complex so they tend to be ignored. 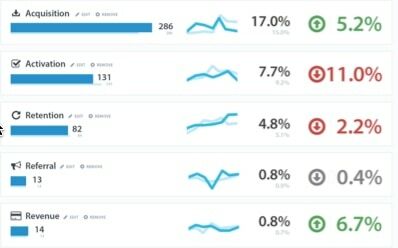 Trak.io simplifies the analytics. It’s about monitoring what stage each visitor to your website is at and prompting you with suggestions about what do to next. The concept is based on Dave McClure (Serial Entrepreneur) pirate metrics known as AARRR. You monitor how you acquire visitors, activate them, retain them on your site, get them to refer you generate revenue. For example: You run a blog and do a guest post on a high profile blog. When visitors come to your website what do they do. 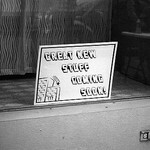 Do they sign up as an e-mail subscriber, read lots of content, leave as soon as they arrive. If they don’t take the action you require do you try another tactic or make changes to your website to improve their behavior. Trak.io will track all this and then tell you what to do. Here is an example of the user profile information you can collect from visitors to your site. You know who they are, what they are doing, what revenue you have generated etc. TweeterSpy is a new application from the founders of Markerly (we covered this before on Social Media Examiner). When you share out a link on Twitter it tracks to see who shared the link and how many of their followers clicked on the links. This is really useful as you can see who are the influential people. If you know that you share a link with a particular person and they get a lot of people clicking links when they send it out then they are people you should focus on to build a relationship with. They are also people who have followers that are interested in your content. Here is an example. When I sent out a link 6 of Shell Kramers followers clicked on the link. There are 3 main parts to Beeliked. 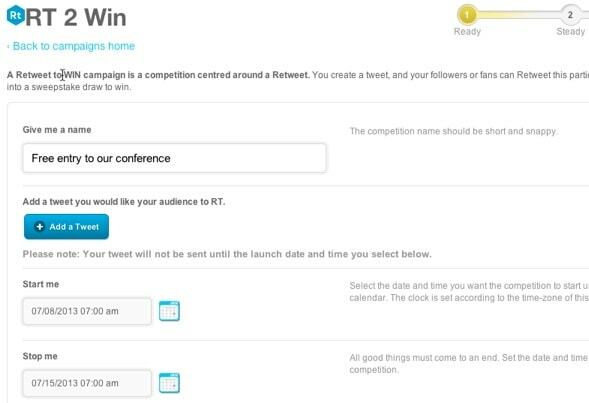 Twitter competitions – It allows you to launch and manage a twitter competition, automatically pick a winner and moderate entries. Social media marketing suite – This operates across Facebook, Twitter, Yelp, Foursquare etc and allows you to monitor keywords, updates social channels, manage reviews etc. 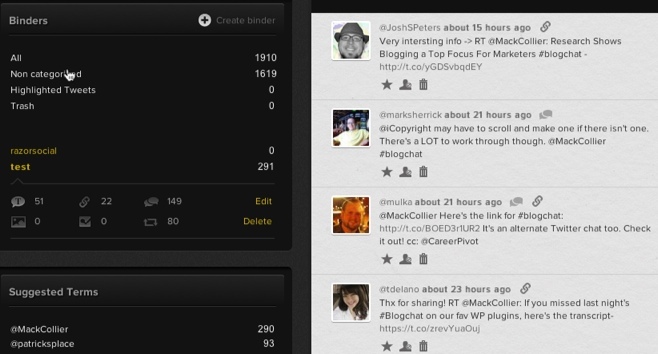 Nectar Add-ons – This allows you to create a microsite around your twitter application. The twitter competition area is interesting. We have so many providers of Facebook competitions why aren’t there more Twitter ones! An example twitter competition is retweet to win. When users retweet they are automatically entered the competition and Bee liked can pick out a winner at random. Lucky Tweet – People send a tweet with a specified hash tag and entrants are recorded and a random winner selected. Follower milestone – Twitter users guess when you will hit a follower milestone and then the winner will be selected based on the closest time to the milestone. Twitter poll – You ask a question and entrants enter the competition if they get the right answer. There are other competitions also which are available for enterprise customers (e.g. photo competition). Tweetbinder allows you to filter out conversation on twitter based on a hash tag or a term and then further filter this conversation. For example, if you filtered on ‘Razorsocial’ you could see all the tweets for the last 7 days with ‘Razorsocial’ in the tweet. You could then filter this conversation to display just links, retweets, pictures etc. A binder is a filter on conversation. If you have a lot of conversation you could create a binder within this conversation that further filters it. You can also view a detailed analytics report showing the activity on tweets over the 7 day period, reach, tweets per user etc. 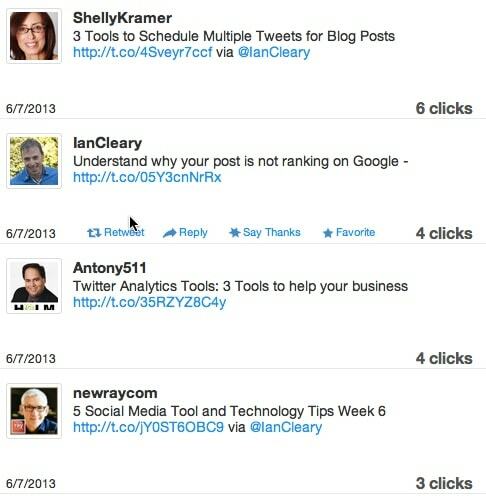 When you submit links out on social media channels how do you know if the links are valid? A lot of time you may have a link and convert it to a short ink and send it but you haven’t verified if the link is correct or not. From a branding and reputation perspective it is not good sending out links that might not be valid. Safelinks solves this problem. 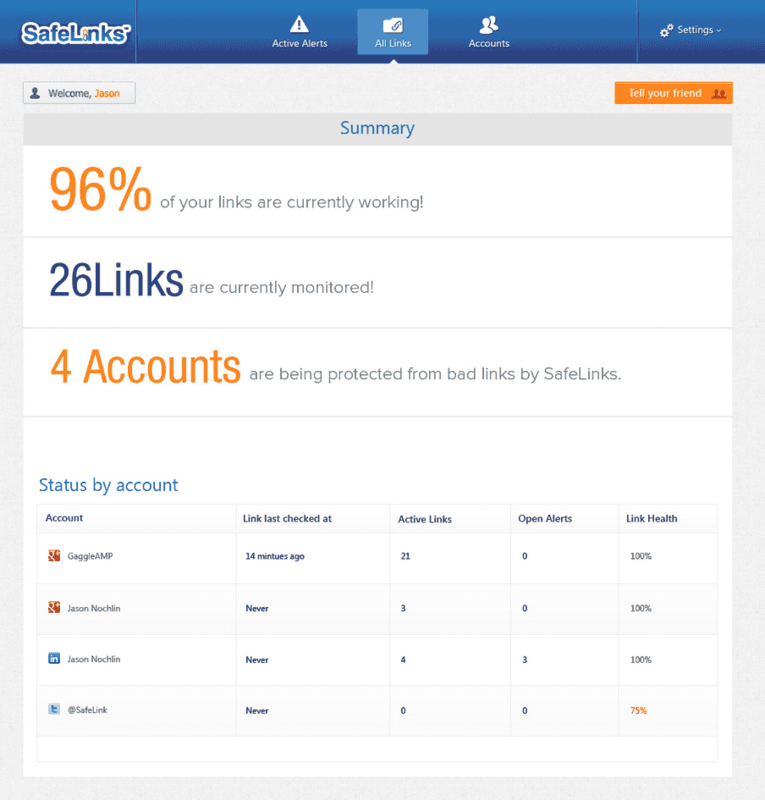 You connect your social media channels and anytime you send out links Safelinks checks to verify they are working links. All links sent out are monitored! Everpost (recently acquired by Dropbox) is a content curation tool which allows you to set up a filter based on content that’s interesting to you and Everpost will deliver you a selection of relevant content on a daily basis. 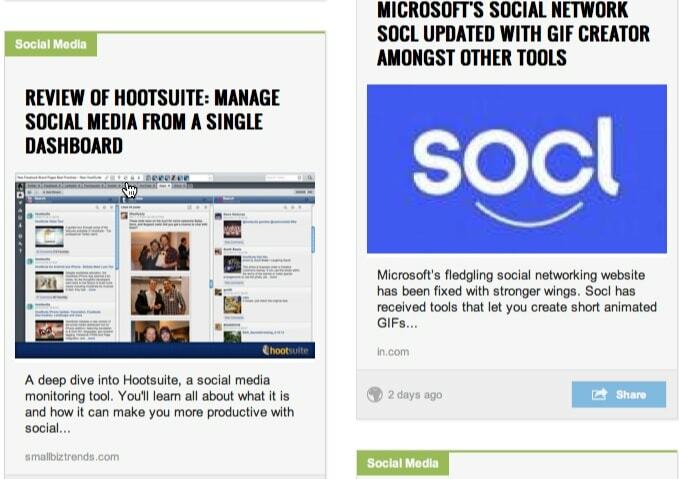 Within the tool you can also post content to twitter and facebook and auto-schedule the delivery of this content. Have you got any beta tools you’d like to add onto the list? Which of the tools above would you use?